York Habitat for Humanity is a Christian organization. We are in business and do what we do solely by the grace of God and to forward His kingdom here on earth. 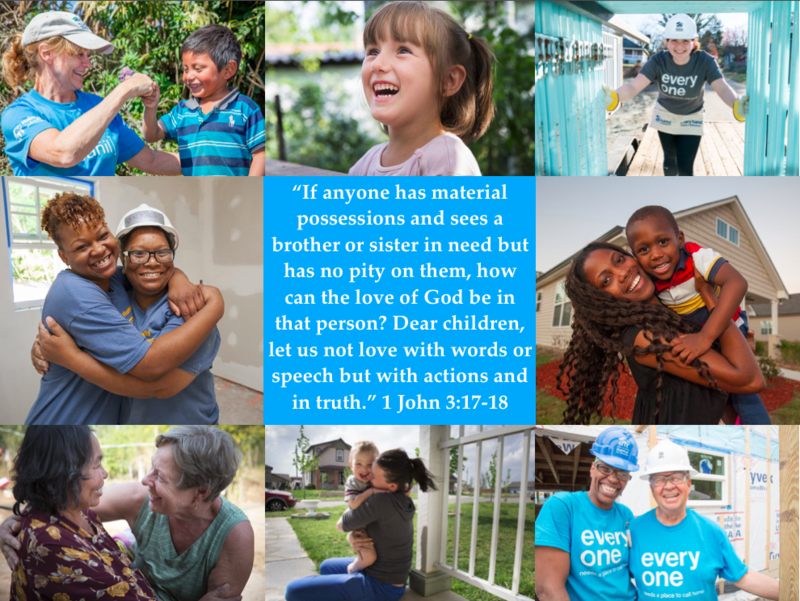 Our mission is to "seek to put God's love into action" and to "bring people together to build homes, communities, and hope." 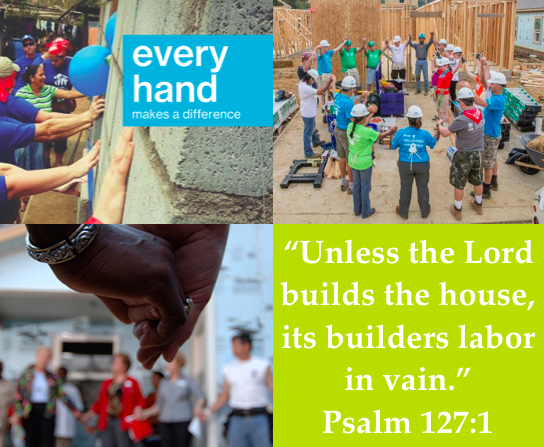 We are blessed to be able to serve our Habitat homeowners and to be God's hands and feet by helping those in need. - That God would move powerfully through our organization in York County. - That everyone that comes through our doors - donors, homeowners, and volunteers alike - would feel joy, peace, and love. - That God will continue to bless our work and to lead us as we seek to follow Him into the future. - That our Habitat homes will be built on the firm foundation of Jesus Christ. - That God would bring the people to us who He wants us to bless, partner with, support, or care for. - That the priorities of our hearts would be in line with the kingdom of God.